SKU: n/a. Category: Ultra Plush Rope Mats. Tag: Rockport Ultra Plush Rope Mat Gray. 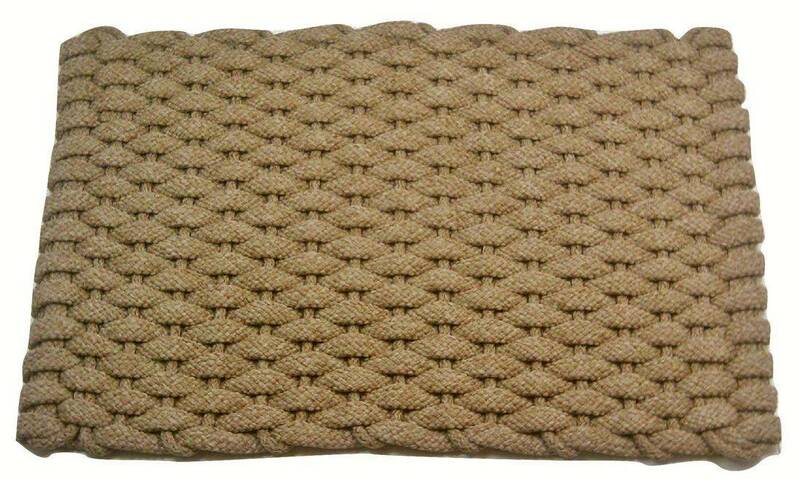 Rockport ultra plush rope mat gray is ideal for pets, boats, RV’s, entries, porches, patio’s, on the deck, or on the floor by your sink in the kitchen, bathroom or bar. These mats are made with 25% more material for the extreme comfort experience. Rockport Rope ultra plush rope mats are thicker and even more comfortable than our standard mats. When it comes to comfort mats this is the ultimate. They are unique, there is no other rope mat that is as soft, easy on your feet, durable and machine washable. Rockport Rope Door Mats is proud to provide you with the highest-quality rope door mats made at manufacturer direct pricing! Rockport ultra plush rope mat tan can also be used as doormats, comfort mats, braided rugs or any application where you want the ultra plush comfort. These rope mats are elegant, durable and provide classic elegance with low-maintenance. Anywhere you choose to place them they will complete the look and add elegance to any decor. Nautical, contemporary, traditional or whatever the theme you are going for. With the right hand-woven rope mat you can make that statement you are looking for! Rockport Rope doormats are so versatile that you can place them anywhere you want to add décor, keep the dirt out or have incredible comfort while standing on the mat for long periods of time. Rockport rope mats work well for many applications so get creative and find the use that fits your needs. Order your Texas Rope door mat today!